Over the last 20 years, Limited Liability Companies (LLCs) have become more popular in California. However, LLC members may be unaware of their rights to certain types of information. Conversely, managers of an LLC may not know what information they are required to make available. The California Corporations Code grants members of an LLC rights to certain types of information. 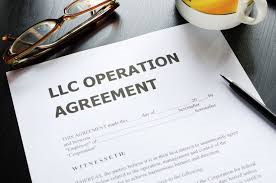 Members may have rights to this information even if they are not a full member but only hold an economic interest in the LLC. “Holding an economic interest” is a term of art and generally refers to someone who may not be a member (cannot vote on certain matters, for example), but has rights to his/her share of the LLC’s profits and losses. What kind of information is an LLC required to keep? What types of documents may be requested and how must the information be provided? Inspect and copy during normal business hours any of the records required to be maintained by California Corporations Code Section 17704.10. Obtain in writing from the LLC promptly after becoming available, a copy of the LLC’s federal, state and local income tax or information returns for each year. If the LLC has more than 35 members, Section 17704.10 (c) of the California Corporations Code further requires the manager to send an annual report to each member not later than 120 days after the close of the fiscal year. The report is required to contain a balance sheet as of the end of the fiscal year and an income statement and a statement of cash-flows for the fiscal year. Members representing at least 5% of the voting interests of the members, or three or more members, may make a written request to the manager for the LLC’s income statement for the initial 3-month, 6-month and 9-month period of the current fiscal year ended more than 30 days prior to the date of the request; and a balance sheet of the LLC as of the end of that period. The manager is required to deliver or mail the statement to the members within 30 days after the written request. The financial statements referred to above are to be accompanied by reports, if any, from the LLC’s independent accountants; or if there is no such report then a statement from the manager that the financial statements were prepared without audit from the LLC’s books and records. Additionally, Section 17704.10 (d) requires that the manager promptly furnish a member with a copy of any amendment to the Articles of Organization or the Operating Agreement which are executed by a manager pursuant to a power of attorney from the member. California Corporations Code requires an LLC to keep information about Members. What happens if a member asks for the required information and the LLC does not comply? In addition to any other remedies a member may have, a court of competent jurisdiction may order the LLC to provide the information. If the court finds that the LLC’s failure to comply was without justification, the court may award an amount sufficient to reimburse the person bringing the action for the reasonable expenses incurred by the person, including reasonable attorneys’ fees, in connection with the legal action. Finally, California takes quite seriously the provision of required information to LLC members. Accordingly, a member’s waiver to the right to receive such required information is unenforceable in California. When seeking information from an LLC, the best strategy is usually to ask for the information you are entitled to (excluding information which you really do not need) in a simple, straight forward manner. However, if the manager denies you the information that you are entitled to, it is important to know your rights. 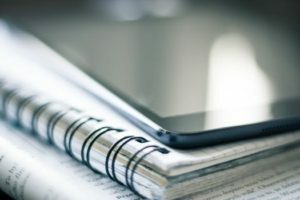 Often, simply referencing the applicable code section resolves the situation, but in some cases you may need to escalate the matter and seek formal legal representation.